Homes are selling like hot cakes in many areas within a few hours of Vancouver. Back in January, we noticed an uptick in the number of buyers registering on our site. This was an early sign of things to come. It's no secret that real estate in many areas of British Columbia is hot right now. In the last few weeks, we have spoken to Realtors all around the province and many are reporting bidding wars, fast sales, and eager buyers. Much of the invigorated market is in areas within a few hours reach of Vancouver and the Lower Mainland. Some areas further East, like the Kootenays and Shuswap have picked up as well but are quiet in comparison. In Vancouver, super low interest rates , combined with a very tight rental market and pressure from foreign investment have led to skyrocketing housing prices. A mini-exodus of young families and retirees to outlying areas of B.C. has ensued. Our member agents are seeing Vancouver homeowners cashing out and first-time buyers moving to areas where real estate is more affordable such as the Fraser Valley, communities on Vancouver Island including Victoria, Parksville and the Comox Valley, and the Gulf Islands. In some of these communities, the already brisk real estate market conditions, plus this added pressure from former Vancouverites has pushed housing sales to almost frenzied levels. Moreover, transplanted Vancouverites are accustomed to a very competitive market and are more at ease with aggressive buying strategies including subject free and over asking offers. These strategies, combined with low listing inventories has created a scarcity, which is, in turn, driving prices up. It's not just native British Columbians that are looking outside of Vancouver for real estate. While Germans and British investors have long been a market for B.C. recreational real estate, we are starting to hear anecdotal reports of increasing numbers of Chinese investors purchasing larger plots of land, small businesses and residential and recreational properties in these smaller communities. Finally, the low Canadian dollar, combined with the "Trump Effect" also has US buyers looking North for real estate again, putting even more pressure on the market. Average SFD price Jan-April 2015 vs. Jan-April 2016. Metro Vancouver & Vancouver Island. "A total of 1,289 properties sold in the Victoria Real Estate Board region this May, an increase of 42.4 percent compared to the 905 properties sold in the same month last year. Inventory levels remain lower than the previous year, with 2,406 active listings for sale on the Victoria Real Estate Board Multiple Listing Service® at the end of May, 40.5 percent fewer than the 4,043 active listings at the end of May 2015. “These are very interesting times in local real estate,” notes Mike Nugent, 2016 President of the Board. “The market we are experiencing has exceeded our expectations. There are influences in the marketplace that we do not fully understand yet, like the impact of out-of-town buyers and millennials moving into the market, and the seemingly sudden international attention our island city has started to receive. And some folks may be buying now because they are concerned that the market is going to continue to increase in value. Traditionally spring is the most active season for real estate, so it will be interesting to see if this feverish pace continues into the summer months.” The Multiple Listing Service® Home Price Index benchmark." This chart, showing the decline in listings in Victoria, tells the story in a nutshell. Chart courtesy of Greater Victoria Real Estate Board. If we take the Comox Valley as another example, Kutyn Appraisals reports that the sell to list ratio for May 2016 was 103 percent and the month to month comparison figures (May '15 over May '16) show price increases in the double digits. The challenge right now, according to one agent I spoke to here, is trying to get listings. She mentioned that people are afraid to sell because they are scared they won't be able to find anywhere to live. Judging by the chart and statistics above, these concerns are valid. With the housing market so hot, many potential sellers might consider renting as an option; however, rental markets in some of these areas are equally as hot. With investors cashing in on long term holding properties, there are fewer options for potential tenants. The existence of AirBnB is also being cited as a factor in making rentals increasingly difficult to come by, especially in larger cities like Vancouver and Victoria. Having been a landlord for over 10 years in the Comox Valley, I can personally attest to the tight rental market. I have never seen so many eager and well-qualified people desperate to find a rental. After having to turn away some excellent potential tenants, I only wish I had more units to rent. Our conclusion: If you already own real estate in one of these busy markets and are thinking of selling, it's a great time to list your property; however, make sure you have another place to rent or purchase when you sign the documents. Late News: According to one article we read recently, the Vancouver market MAY be cooling ever so slightly due to increased government regulations taking hold; however, we are not holding our breath on that one. It could be just because people are afraid to sell for lack of housing inventory. When my husband and I first moved to the Comox Valley twelve years ago, my father-in-law had just purchased a waterfront acreage on Denman Island. The five-acre property was well-treed and the house itself (a vacant "fixer-upper") was situated in a sunny picturesque glade at the end of a long driveway. The true highlight of the property, however, was its location on Morrison Marsh, which gave it both privacy and unparalleled access to mother nature. Our private, sunny retreat in the forest on Denman Island. My father in-law immediately began the work of bringing the property back to its glory. He fixed up the interior of the home, cleared some land, built a chicken coop and then planted an organic vegetable garden. When we visited, we enjoyed taking it all in. Even coming from Courtenay, it felt like a real getaway from the city. We would sit by the garden on the sun-dappled patio, enjoying the buzz of hummingbird wings as they zoomed past or venture out to canoe on the marsh, where we would see a wide range of wild birds and even a beaver dam or two. It was the perfect retreat: A private and peaceful homestead with bountiful gardens, in a close knit community of creative and conservation minded people. The ability to enjoy this type of lifestyle is a large part of what makes Denman Island such a popular place for the influx of young urban homesteaders and active retirees moving there today. Lone Pine Farm, Denman Island: Rich in agricultural history, Denman Island is popular with young families involved in the clean food movement. If you are considering moving to one of the Gulf Islands, you are probably aware that each island has its own vibe. While neighbouring Hornby Island is known as a popular tourism destination, Denman keeps a low profile when it comes to tourism (according to a recent study, 85% of visitors to Denman are friends and family of residents). Denman enjoys hugely diverse settings of natural beauty with many forests and endless beaches that surround this long and narrow shaped island made up from a range of different geological substrates. The defining features that draw people to Denman (apart from being one ferry ride less than going to Hornby) are its rich agricultural history, pristine swimming lakes, and a year round active and vibrant community. Life on Denman is like stepping back into an era when time moved slower. It truly is a “slow island” and young and older newcomers alike have moved to Denman to enjoy a safe and peaceful place so “close to everything, but away from it all”. I recently spoke to our member agent and area real estate expert Bente Pilgaard, Managing Broker of RE/MAX The Islands, the longest serving real estate office on Denman Island, about what it's like to live and work here. I found out some very interesting facts about the island and its current real estate market. 1. 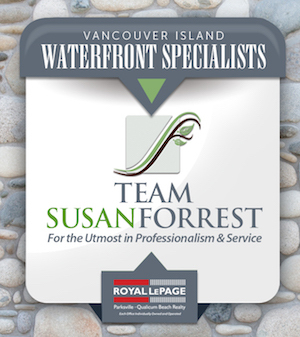 What is the average price of a typical single family dwelling, lot or waterfront property on Denman? The big market news for 2016 is that the market is showing signs of recovery after a slow 7 year period with about 2 sales/month average in the last 3 years. So far this year 11 properties have already sold, and we have seen a large increase in inquiries and office drop-ins here at RE/MAX. Offers are being written at near asking price and the island market has a great selection of still well priced properties for sale with its total 82 listings of accumulated inventory. No waterfront lots sold in 2015. Spectacular ocean views at sunset from Denman Island. 2. Can you tell us a bit about demographics? What is the typical profile of someone who lives on Denman year-round and where are buyers from? Denman Island is home to 1100 full time residents of still active professionals, young and old farmers, IT consultants with a portable career, artists and retirees together forming a very robust community of old timers, newcomers and everything in between. Located in the rain shadow of the Beaufort Mountain Range on Vancouver Island, Denman Island enjoys optimal conditions for gardening and growing food; some areas even have a Mediterranean style climate to support a more exotic range of crops like peaches and kiwis. In recent years we have seen many young families settling here to start small organic farms as their way of life and to support the local food security movement so rapidly developing in this fertile coastal area of BC. A great effect of this is the growing school population so welcomed after many years of declining numbers of students in our once 120 school children strong community school. Chickadee Lake is part of Denman Island's large watershed and a popular summer swimming destination. A large segment of our community are retired professionals, who are very active in the conservation efforts on the island. In 2002, 5% of the island was under protection, but today 25% of it has been set aside for conservation due to the tireless efforts of the Denman Conservancy Association as well as a local family, who recently organized 2000 acres of the island to be put under protection. 1700 acres of these form the new Denman Island Provincial Park surrounding Chickadee Lake near the Northlands. There is a lot of work being done in other conservation projects as well. Local volunteers have already built kilometres of beautiful trails in some of these park areas for all hikers and cyclists to enjoy for many years to come with more being planned every year. Outdoor pursuits are a common thread in island living on Denman with its abundance of recreational opportunities. Also, it was recently discovered that the island is home to a special kind of rare butterfly called the Taylor Checkerspot and now 10 hectares of parkland have been dedicated to develop the population and encourage breeding. Island living is not for everyone, but once settled in here on Denman, perhaps as a renter at first, many people find that this unique island becomes a truly meaningful place to call your home, a place where you belong and can make significant contributions to your community. With today’s options of portable careers, and due to the advances in internet mobility, a fixed work place is no longer a necessity. For those looking to purchase here, our buyers are mostly coming from BC’s urban centres like Victoria, Nanaimo and Vancouver, with a growing number of US buyers taking advantage of their strong US dollar. Albertan buyers are returning to Denman after many years of absence. They all share a desire to escape the hustle and bustle of city life with its noise and pollution, and to simplify their lives whether full time or part time. We see a lot of doers and dreamers, empty nesters and young idealists, Intellectuals and business people all here mixing and contributing to a multi-faceted fabric of island character, so easy to fall in love with. 3. What type of jobs are available for people who live on Denman year-round? Traditional employment opportunities are scattered throughout the island. The ferries, the school, and the shops all employ a number of locals. As with many small communities, a good number of people are self-employed. Tradespeople, home support workers, consultants, and craftspeople, and the aforementioned farmers, form a large part of the work force. Those with IT experience are able to telecommute, though the proximity of Courtenay allows for a more traditional commute to a larger range of opportunities in virtually any industry. 4. What are the popular waterfront neighbourhoods and beaches on Denman? In the area around Fillongley Provincial Park, which features Denman Island’s only campground and main sandy beach, there are an extremely limited number of homes on ½ acre lots. This neighbourhood has a pronounced family-friendly feeling. At the north end of the Island is The Point Project, an 8 lot development with some newly built homes along the Komas Bluffs (3 large lots unsold), and just a little further south, the Parklands Project offers 13 new lots on sweeping acreages of recovering forest, having been logged 15 years ago. Due to covenants protecting the area’s sand-dune ecosystem, including the bluff forest, people access the beach through a set of sturdy stairs at Morning Beach Park, another of Denman Island’s sandy, well-kept secrets. Largely undeveloped, this area is ideal for those seeking sweet isolation, but not too far from the village. Sand Bluffs at The Point / Morning Beach Park, Denman Island. Anyone who has ever travelled to Denman’s sister island, Hornby, has passed through this charming area of homes on their way to the ferry. In reality, the area bears no resemblance to Burnaby, but is so nicknamed because of the denser population on smaller lot sizes relative to the rest of the island, typically around ½ acre. Homes range from modest seasonal cottages to deluxe designer show homes, and the advantages of living in the area include an abundant water system, and close-knit community, a “talk-to-your-neighbours-over-the-fence” kind of feel. Prices of homes in this area tend to be lower, as they reflect the smaller property sizes. The area nicknamed "Little Burnaby" on Denman. The West side of the island is all about watching the sun set over the Vancouver Island mountains. Beaches along this side might be shale or crushed oyster shell, pebble or fossil-studded rocky coastlines. With large acreages and warmer microclimates, this area lends itself very well to gardeners and hobby farmers alike. Several waterfront homes are available here in all price brackets, some with brand new deluxe homes. Further along East Rd, beyond the Hornby Ferry and on the way to Boyle Point Provincial Park, the road turns to gravel and one enters a forested area. With larger acreages, virtually no traffic, and houses set back from the road amidst the trees, it is sometimes difficult to believe anyone lives here. A few pebbled beaches are interspersed with rocky coves and calm swimming waters overlooking spectacular sunrises and views to Hornby Island. Within walking distance of downtown Denman are properties ideal for retirees, with easy access to shops, the library, community hall, restaurants and the medical clinic. Virtually all homes in this area are located on moderate-sized, low-maintenance lots, and residents can enjoy the bustle of both pedestrian and marine traffic in the area. Located on the West Side of Denman not far from downtown, Nixon Beach features stunning sunsets overlooking the ocean & Vancouver Island. 5. What are the medical and elder support options on the island? Denman Island has a full-service medical clinic with Doctors on call. The nearest hospital is 30 minutes away in Courtenay, and well-trained paramedics and first responders are available 24-7 in the event of an emergency. We have a very high profile dentist (a reconstructive surgery expert) who runs the dental bus between Denman and Hornby Islands. A large number of other health professionals, including a Registered Massage Therapist, and an Acupuncturist and Dr. of Traditional Chinese Medicine, make their home and practice here, and excellent home support services are available to the island’s elders. Denman Island Community School serves grades k-7, and high school students are taken by bus to Vanier in Courtenay. Many adults of all ages choose to further their education at North Island College in Courtenay, a short commute from Denman. There is also a pre-school on the island. 7. What do kids do for fun? As in most waterfront communities in the summer, kids can be found playing in the water and along the shore of Denman’s many beaches and two lakes. The playground is a popular stop for local and visiting children, and the easy access to trails and parks arounds the island offers endless opportunities for nature walks. Residents of Denman can choose from a multitude of water based activities in summer. The Community School is the centre for children’s activities on the island. It offers a number of after-school, evening and summertime activities including team sports, self-defence, crafts, and day camp. On Friday Nights, the school is dedicated to the very popular Teen Night. A couple of adult facilitators and our youth outreach worker help to organize a series of free-choice activities – the computer lab, gym, multi-purpose room are all available for sports, art activities, and cards or other games. The proximity of Courtenay/Comox means that high school aged children can participate in after school sports, band, and other extracurricular activities. It also means that the movie theatre, swimming pools, and ice rink are available for child and youth enjoyment. 8. How do you find living on the island and what are the transport options to Vancouver Island? When I first moved to Denman, I knew it would be a big change from city living and I kept commuting to Vancouver for my semesters teaching at Emily Carr University. I spent 4 days in the city and 3 days a week on Denman until I realized that the island had everything I could ever want or need. The Denman Village Square in downtown Denman. Activities abound on Denman. Culturally, Denman is a hopping place with a summer art gallery series and a concert series year-round. Locals in the know might be able to direct you to a house concert. In addition to outdoor activities such as hiking swimming or kayaking, residents keep active throughout the year by community organized Nia, badminton, or Sunday Soccer. For foodies, Denman offers three great eateries. The Café-Pourium, located in a cozy vintage nook in the back of the Hardware Emporium, offers great espresso drinks and light lunches. The café at the Guesthouse often features live music, art openings, and other evening events, while the seasonal Chuck Wagon can simply not be beat for alfresco burgers with an ocean view. There is a General Store for food and other necessities, the Hardware Emporium for building and gardening needs, and Abraxas supplies books, stationery, gifts and art supplies. We have the ability to take a 10-minute ferry ride to the white beaches on Hornby for summer fun and Friday Jazz nights, or a 10 minute ferry ride in the opposite direction to Vancouver Island (approximately $20 return trip with discount card). The ferry runs almost hourly, from 6:40 am until 9:45 at night, so the access is one of the best in all the Gulf Islands. Today, a day in town is a fun outing, but not a necessity. “A hard place to leave once you are here” says Bente. "Tree" Island Paradise, Just off of Denman Island. I will leave you with one other little known Denman Island gem. The Provincial Marine Park named Sandy Island (locally known as Tree Island) is located just off of the northwest tip of the island. At low tide, you can walk miles of sandy beach to get to this amazing little paradise. There is a beautiful community built staircase from Morning Tree Park which has made the area more accessible to locals and the public. 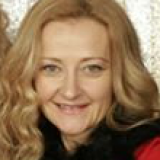 Thanks to Bente for all of her information and fabulous photos. A Little Story About Life, Work & Real Estate in Ucluelet, B.C | PLUS: Your Guide to "Living on the Edge"
Imagine a life "living on the edge" of nature, with boundless outdoor adventure opportunities and the ability to carve out your own self-directed future, free from the constraints and congestion of city life. That is what Marilyn McEwen and Lance Blackwell envisioned when they decided to move to Ucluelet from Vancouver 18 years ago. When they arrived, things were not exactly as they had imagined. Ucluelet Harbour on a Sunny Day. Back then, the small village, located on the "Wild West Coast" of Vancouver Island and a 1 1/2 hour drive down a long and winding road from the nearest large centre (Port Alberni on Vancouver Island), was known primarily for fishing. Upon arrival, Marilyn and Lance realized that theirs was the first home sale in the area in 18 months. To make matters worse, the logging and fishing industries, which had supported the community for many years, were both in decline. With the exception of the nascent tourism industry in neighbouring Tofino, the future looked uncertain. Marilyn & Lance in their Scuba Diving Gear. Marilyn and Lance moved to the area for the lifestyle. At the time, the contrast with big city life took a bit of getting used to, but the trade off of living amid captivating beaches, spectacular old growth forests and the commune with nature was well worth it. With the goal of "working to live", rather than "living to work", they initially secured tourism jobs in Tofino, then quickly started businesses of their own in Ucluelet, and quite frankly, they never looked back. Eighteen years later, the "Wild West Coast" area is a booming and well-established mecca for tourism, hosting up to 1 million visitors a year; most of whom visit during the high season of June to September. During these summer months, many of the long white sand beaches between Tofino & Ucluelet are dotted with families happily frolicking on the shores, while surfers test their abilities out on the waves. Surfers test the waves at Long Beach, even in inclement weather! In the off-season, the area attracts some intrepid foreigners, as well as a healthy dose of British Columbians looking to escape the city for a quick getaway. Winter visitors like to cosy up by a fire or walk the beaches in rain slickers, while watching storms brew over the Pacific Ocean. In March, the hordes start to return again for the Pacific Rim Whale Festival. When tourism first took off In Tofino, Ucluelet was seen as the alternate place to stay; a lesser known secret where locals or savvy tourists could retreat from the crowds. In recent years, however, it has become a sought-after destination itself. Development took off with the real estate boom of the early 2000s and the establishment of new neighbourhoods and resorts, including the stunning, contemporary Black Rock Resort (2009), situated on a rocky promontory with magnificent views looking out to the Pacific Ocean. Next, the fantastic Wild Pacific Trail finally broke ground. The longtime vision and continuing creation of local oyster fisherman "Oyster Jim," the Wild Pacific Trail is carved out of the rugged shoreline and winds gently along the coast amongst towering firs and cedars, with views of crashing waves, endless ocean and abundant wildlife. Voted TripAdvisor's #2 attraction in British Columbia, the trail is a must see when in the area and definitely bucket list worthy. I have personally hiked the trail twice and will be returning time and time again for the spectacular vistas. Lance, now a well-known producer, director and editor of television and video for the area, and the owner of Long Beach TV, created the video below, to showcase the trail and its natural beauty. Marilyn, who is now also deeply rooted in the community, grew her business called Aperture Overtures Photography to the point where she shot 100 weddings per year (mainly on the beautiful area beaches) and now keeps busy running the couples' oceanfront resort. As if that is not enough, she is also a newly elected member of the Ucluelet council. She says that she has definitely seen an upswing in recent years, noting that there are very few vacant buildings in the municipality, real estate has gone up substantially, and that rental units for the work force that arrives for the summer is very hard to come by: so much so that all newly built resorts are now required to provide rental units for their staff. In contrast to what it was like when Marilyn and Lance arrived, Marilyn describes the Ucluelet of today as a lively and hip close-knit community of entrepreneurs and young families. In an area where the average age is 34, she says it is now common to see young mothers stroll along with kids in tow and mentions new small businesses popping up around town. Like Marilyn and Lance, many of these families have chosen to settle in Ucluelet for the lifestyle and the majestic beauty of the area. While many of the small businesses are focused on outdoor pursuits such as surfing and kayaking, Marilyn says that new retailers are also springing up to serve the tourists and the surge of families: coffee shops, clothing stores and more. This spectacular semi-oceanfront home, currently listed by our member waterfront expert Dave Koszegi of The Dave Team, is a prime example of the upscale nature of much of the recent development in Ucluelet. Listed at $947, 500 the west coast style log home features high-end finishing and outstanding workmanship. When asked about any down sides of Ucluelet, Marilyn has little to say. She mentions that crime is not much of an issue, except sometimes during the summer, when you have to keep more of an eye on your gear (bikes, surfboards, etc..) and be a little more wary. She attributes this mainly to the large influx of transient people in the high season. A solution for her only other issue, lack of a good indoor recreation facility, is already in the works. The Multi-Plex Society has a designated building lot out by the airport (between Tofino and Ucluelet). Phase one, an indoor ice rink, is slated to start next year and phase two will be an indoor pool. As for Marilyn and Lance, they are happy with their life in Ucluelet. They have carefully crafted their own successful careers, and just like when they arrived, they continue to be inspired by the raw beauty and splendour of nature that surrounds their home. Today, one of their favourite things to do is take a long walks on the beach with their dogs. "We planned it this way," says Lance. A beach day on the Wild West Coast. Want to know more about Ucluelet ("Ukee")? Check out our fast facts in the guide below. The following real estate statistics are provided courtesy of the waterfront real estate experts at The Dave Team. Jan 1, 2015 - Dec 5, 2015: Average sale price $264,500. According to MLS stats, the average price for an ocean view home sold this year was $272,500. 460 Marine Drive for $2,298,000. Highest sale price was in 2007 for an oceanfront home which sold for $1,675,000. MEANING AND PROPER SPELLING OF "UCLUELET"
Commonly misspelled, the word Ucluelet (pronounced you-KLEW-let) is a local First Nations word meaning "safe harbor". Ucluelet’s tagline is “Living on the Edge” which refers to its location on the edge of the Wild Pacific Ocean & Barkley Sound. Ucluelet in relation to Vancouver, Victoria & Tofino, Courtesy Google Maps. Ucluelet is a district municipality with a population of about 1,627 on the Ucluelet Peninsula, on the west coast of Vancouver Island in British Columbia, Canada. Located on the western edge of Barkley Sound, the closest city is Port Alberni approximately 100 km to the east. The District of Tofino is 40 km northwest of Ucluelet on Highway 4. Barkley Sound lies southeast of Ucluelet and is a marine area that features the Broken Islands Group unit of the Pacific Rim National Park Reserve. The fishing and scientific research community of Bamfield lies on its farther shore. In between Tofino and Ucluelet is Long Beach, arguably the most famous beach on Vancouver Island’s West Coast. There are several other fantastic beaches nearby with breathtaking, unforgettable vistas. Many of these beaches also have access to the renowned Wild Pacific Trail. Known as a true working harbour, Ucluelet provides the ultimate West Coast experience, with its rugged coastline and abundance of outdoor activities like fishing, surfing, whale watching, kayaking, camping, hiking, storm watching, biking, swimming, and beachcombing. Storm watching has become a major West Coast attraction during the winter months – the perfect opportunity to snuggle up on the couch with a glass of BC wine in hand! Many accommodations offer unique ‘Storm watching’ packages for tourists. The West Coast cuisine in Ucluelet is incredible! Try the Floathouse on the Inner Harbor, where you can watch the boats, sea lions, and other marine wildlife as you dine. Those with refined tastes will delight in the artisanal fare offered by Fetch Restaurant in Black Rock Oceanfront Resort. You can check out a great assortment of waterfront resorts in the area on our sister site, Simply Beachfront. Remember to sign-up for our free Beach Club to get special offers and exclusive deals you see advertised on the site. For a list of waterfront accommodations Ucluelet, please click here. For oceanfront accommodations in Tofino, please click here. There are two elementary schools in the area: Wickaninnish Community School in Tofino and Ucluelet Elementary School in Ucluelet. There is one high school in the area, Ucluelet Secondary School. Tofino students are bussed there on weekdays (about a 30 minute drive). TGH offers emergency obstetrics only (expectant mothers go to larger island hospitals for births). There is a clinic located in Ucluelet that is open 4 days a week for alternative care. West Coast General Hospital is a larger facility located in Port Alberni (about a 1 1/2hr drive inland). For seniors, VIHA also operates an assisted living centre called Forest Glen in Ucluelet. A small airport, Tofino Ucluelet Airport, is located between Ucluelet & Tofino. There is also the ability to land floatplanes in Ucluelet Harbour. Travelling by car, you can access it via Highway 4 from Port Alberni. This is a very windy road and winter tires or chains are required Oct-May. Bus service is provided by Tofino Bus from larger centres on Vancouver Island. Do you live in Ucluelet or have anything else to add about the area? Please feel free to post additional information in the comments. After hours, days and actually, years of work, I am happy to say that Simply Beachfront is finally live! You see, while running Waterfront West for the last few years, it has come to my attention that a website for waterfront accommodations might be a nice idea. So I have been secretly working on this project for a very long time and it is now finally ready for liftoff! As a valued blog subscriber, you get to be one of the first people to view what I hope will become a large and active site with waterfront accommodations worldwide (yes, lofty goals, I know), but for now, our first region is British Columbia, Canada. As you will see, we have integrated the site with Expedia and have Expedia partner properties available for booking online; however, you will also find independent waterfront accommodations (vacation rentals, B&Bs and resorts) that are listed separately from the Expedia properties. Beachfront vacation cottages (owner direct). Resorts with vacation rental villas & suites. Waterfront lodges, hotels & more. GET EXCLUSIVE TRAVEL PERKS & OFFERS - JOIN THE BEACH CLUB! You will be one of our very first visitors, so please feel free to sign-up for our Beach Club, which gives you FREE access to special rates and perks at various waterfront accommodation providers throughout British Columbia. We currently have member perks in the Okanagan, on the Sunshine Coast, Galiano Island and on the West Coast of Vancouver Island (Tofino, Ucluelet). These perks are provided by our independent accommodation providers (not listed through Expedia). When you sign-up you will be able to edit your Offer Alerts by region or activity so that you only get the deals you want. If you are not interested in British Columbia, you can also just choose to put your subscription on ice and we will only send out updates when we open up new provinces, states and/or countries. Once your FREE membership is set up , you can login anytime and get the coupon codes for the perks you see on the site. Then, simply contact the property direct or via our booking request form in the following 24 hours to make your reservation and get your offer. If you like the new site, we would appreciate any social shares using the tabs on the left of the home page. We would also appreciate any feedback you have. P.S. If you know anyone who runs a waterfront hotel, vacation rental, B&B or other type of accommodation in British Columbia, we have a special very limited offer for the next 24 founding member accommodation providers who list on the site: $99+GST for one year. We hope you all had a great summer. Many of our member agents have reported that they had a busy summer and that the real estate market was quite active in their communities. Although the extended period of warm weather came with some very unfortunate consequences (thank you for your help with that, firefighters! ), it also gave us an extra long resort season to enjoy water activities. For some people here on the island, it was still bikini season, even in the first few days of October! Hot Properties for Fall 2015. Our lakefront real estate experts at The Dave Team say that this listing is the absolutely best priced waterfront property on Sproat Lake. It’s a rock bluff waterfront lot with amazing views up Taylor Arm. Modern design & open plan layout give this approx 1476 sq ft oceanfront cottage a feeling of sophistication that outweighs its size. This is the perfect getaway property for family & friends. At only $479,000, this beautiful property is listed well below the 2015 Tax Assessment of $563,000. Our BC recreational property experts at NIHO Land & Cattle Company, say that these three acreages (located on a fisherman’s paradise) are in the middle of some of the best farming and ranching country. A portion of the properties are also cleared and hay producing! $650, 000 Lot B 1,924 ft (585.5 m) of lake frontage. This is prime lakefront property. $820, 000 Lot C 1,776 ft (541.5 m) of lake frontage. An excellent site to start your farm! That rounds up our Hot Properties for October 2015. Coming up in our blog, we are going to be starting a series of posts focusing on real estate markets in different areas of British Columbia. The articles will serve as reference guides for people looking to move to specific cities in British Columbia where waterfront real estate is popular. The guides will be chalk-full of as much information as we can gather on the current real estate market conditions in each area, as well as other helpful information and stories that we gather from our area real estate experts. Our first article will focus on the West Coast of Vancouver Island (Tofino & Ucluelet) so please stay tuned! The Experts Weigh In: How Will Alberta's Oil Slump Affect B.C. Recreational Real Estate? Ever since the price of oil started to slip, I have been wondering about the possible effect the oil slump might have on B.C. 's recreational real estate market. Historically, a large segment of our site visitors (around 19-22%) have hailed from Alberta and we know that Albertans like to purchase waterfront getaways and retirement homes in British Columbia. With the market for recreational properties on the upswing again in many of the smaller B.C. communities, could a lack of Albertan cash be enough to send us back to a slow market? Interest for properties like this luxury waterfront home, listed by the Jane Hoffman Group in Kelowna for $8, 975, 000, often originates from other Canadian Provinces or large urban centres like Vancouver & Calgary. There are two sides to the coin. On the plus side, lower oil prices have been partially responsible for our current low mortgage rates; however, on the flip side, Albertans with an eye on B.C. real estate could have a tougher time selling or refinancing their homes in Alberta due to the lagging real estate market there. So where will we end up? With this question in mind, I started to investigate our site statistics and what I found may surprise you! Let's get started with a look at the year-over-year visitor traffic to our site. Since September 2014, when news of the slump first came out, the percentage of Albertans as a total of our site visitors has actually increased slightly. Furthermore, according to the breakdown below, we have seen a year-over-year increase in the percent of Albertans (as a total of our Canadian traffic) visiting the site since January. It looks like Albertans are still on the hunt for B.C. waterfront properties and that not only Albertans, but also people from Ontario might be longing for mild B.C. winters and ocean breezes. Why the increase in interest from Alberta in the face of this slump? It's difficult to say. According to this Globe and Mail article, for the first time in several years, B.C. is experiencing a positive net migration of people from Alberta. In the last few years, many B.C .residents have moved to Alberta for high paying oil industry jobs in places like Fort McMurray; however, now they are starting to trickle back into the province to find work here. Even when they are working in Alberta, some of these workers maintain a primary home in B.C. and commute back to Alberta on a weekly or bi-weekly basis, thereby supporting the market here. Although they may have a primary home here or purchase a cabin for family vacations, these younger oil industry workers; however, are not the typical demographic purchasing luxury B.C. waterfront homes. B.C. luxury waterfront home buyers are more likely to be people who are nearing retirement, with equity in their first home, looking for a second home to enjoy or to retire to permanently. Furthermore, most our our site visitors from Alberta hail from Calgary. Could this increased traffic be comprised of oil industry executives that are getting ready to retire? Possibly. Notably, two large oil related firms were listed in the top 10 companies our site visitors originated from during the last two months. With the real estate market in Alberta only having taken a turn for the worse in the past couple of months, it's a little premature to really delve into the sales stats and find out the true toll the slump will take on our recreational market, but judging by our site traffic so far, at least the desire to purchase B.C. waterfront is still alive and kicking in Alberta. Whether that results in sales remains to be seen. To find out more about the situation, I contacted two experts on B.C. recreational real estate who typically work with Albertan buyers to find out if their information meshed with ours. I also asked them a few questions about their forecasts for the B.C. recreational real estate market this year. With over 50 years of real estate experience, Rudy Nielsen is a highly regarded expert in the industry. He has occupied the roles of developer, appraiser, entrepreneur, landowner, real estate consultant, speaker and deal maker. A skilled negotiator, Rudy has successfully closed many notable deals and worked with thousands of individuals on buying and selling real estate. Rudy is also an innovator and a trailblazer, anticipating the needs of the real estate and financial industries, and developing products to serve those markets. He's also a really nice guy and a very entertaining speaker. Landcor (President & CEO): One of Canada’s top-tier online real-estate companies, specializing in an Automated Valuation Model (AVM) for real estate data analysis and valuation. NIHO Land and Cattle Company (President & CEO): One of British Columbia's largest private owners of recreational property, with over 40 years of experience in buying, selling, managing and developing all types of recreational property and real estate throughout the province. LandQuest (Founder & Partner): A unique real estate company specializing in marketing rural, recreational and investment real estate for sale throughout British Columbia. With a large database of listings ranging from small bare land acreages to large trophy ranches in all price ranges. Rudy is a designated fellow of the Real Estate Institute of B.C and an accredited member of the Appraisal Institute of Canada. Jane Hoffman has been selling real estate in Kelowna since 1985. As one of Kelowna's top producing agents, she is familiar with all aspects of real estate, in all areas of Kelowna. Jane is intimately involved in the day-to-day operations of Jane Hoffman Group, oversees all sales transactions and works to build strategic partnerships and relationships in every area of her real estate business. She has a very strong commitment to her community and is an avid supporter of the arts and the Central Okanagan Hospice Association. 1. Do you think the drop in oil prices and slower housing markets in Calgary and Edmonton will affect sales of B.C. recreational property to Albertans this year? No I don’t think so. I think B.C. will continue to be the recreational playground for the oil people from Alberta and some from Saskatchewan. I also think that a lot of buyers will come out of the Eastern Canada for retirement in B.C. because of the heavy snow and cold winter they have had this year specially from Ontario East. NOTE: Incidentally, overall traffic to LandQuest and Niho from Alberta has also increased year-over-year since September, with just a slight drop from Calgary visitors recently. They also report that they are still getting calls from interested buyers in Alberta. We’re fortunate that Kelowna draws buyers from various markets across Canada. If the Alberta pool of buyers is quieter this year, we still have a strong segment of buyers from locations such as Vancouver and Eastern Canada whose wealth isn’t as “tied” to the Alberta economy. We are also fortunate that Kelowna is highly desirable to retired people across Canada who have acquired their wealth, have secure finances and are looking to spend their senior years in our mild climate enjoying all the amenities Kelowna has to offer. We are also seeing people commuting to work in Alberta while maintaining their primary home in Kelowna. They are purchasing second homes here and commuting back to work in the summer months taking advantage of charter flights flying direct to Calgary, Edmonton and Fort McMurray. If the stats tell the story (and the cold winters continue in the East), we'll see increased demand for B.C. waterfront properties like this (also listed by Jane Hoffman Group for $1,499,000) from Alberta and Ontario in the future. 2. Do you think low mortgage rates will result in more sales to local buyers this year? Most buyers looking for recreational property are established home owners with equity looking to enjoy the property immediately and possibly to retire there in the long term. The current low rates should help these buyers use their equity to accomplish these goals, so that should be positive for the market. The low mortgage rates are certainly enticing people to strongly consider new ownership options. Whether it is a new home buyer looking to redirect their rent payments to mortgage payments or a family looking to upgrade to a higher price range, the low mortgage rates are allowing people to make changes and reposition themselves. 3. Are you starting to see more U.S. and international buyers purchasing B.C. recreational property now that the dollar is lower again? Not really U.S. buyers yet as much as the Chinese and some Europeans. Foreigners love Canada because we are a stable country and a safe place to live. With a majority government, a sound financial system and a low dollar, we are a prime market for international investment. The worse the situation gets in countries like Greece, Portugal and Italy, the more money leaves those countries for more secure places like Canada. Note: Rudy's observations with regards to the Chinese market have been echoed by this article which was recently published in the South China Morning Post. Truth be told, the majority of buyers in Kelowna are from across Canada. Certainly, international buyers are on the horizon, but currently they hold a small segment of the market. 4. What is your forecast for the B.C. recreational property market this year? We are positive about the market this year. I think it will be very active year and were finding the first two months already very busy. With mountains, water and acres of untouched wilderness, we are a prime destination for both international buyers, Canadians from other provinces and locals who want to own a piece of paradise. We think it will remain stable with very little change from last year. Stable as far as price and sales volume. It is interesting to see the number of condo and strata projects launching right now, this is showing signs of confidence in our market now and for the future. So there you have it. It seems like although real estate has slowed in Alberta, the conclusion, based on visitors to our site, is that B.C. will continue to see demand for recreational property from Alberta and that retirees will continue to flock here from the Eastern Canadian provinces as well. Furthermore, based on inquiries, sales activity so far, and the opinions of our experts, the oil slump will not have a huge impact on the B.C. recreational real estate market. It should be a great year for the B.C. recreational real estate sales. Artist's South Facing Waterfront - Watch the Whales, Bask in the sun and enjoy the views. This could be a great family gathering place or easy full time living and best of all, it could be yours! Great View Value and Great Lifestyle here! One of Kind! 265 Acre Private Oceanfront Fishing Paradise, with approximately 6,060 feet of ocean frontage on beautiful Porcher Island, about 24 km SW of Prince Rupert. The land has protected moorage in Refuge Bay, as well as sandy beaches on Useless Bay. Located only minutes from Goble Point, this property has some of the best salmon fishing on the North Coast. It has a fresh water creek that runs through the property and is one of only a few oceanfront properties on the island. Many British Columbian (and Albertan) city dwellers dream of purchasing a waterfront getaway on Vancouver Island: a place where they can get out of the concrete jungle and relax on weekends, a place to make special family memories, or even a place to move into permanently when they retire. With the equity of a Vancouver, Victoria or Calgary home, it's increasingly possible for this dream to become a reality, but where can you get the most bang for your Vancouver Island real estate buck? Well, if you are looking for an inexpensive getaway, one of the areas you might want to focus on is the Alberni Valley. For under $500, 000, there are some great waterfront prices to be found up the Alberni Inlet and you may even be able to snap up some fabulous Sproat Lake waterfront if you prefer lakefront living. Located south of the mid-island mark, just a one-hour drive from Nanaimo and two hours from Victoria, the Alberni Valley has some pretty inexpensive real estate when compared with some other major centres on the island (and not just for waterfront property). Of course, if you go further north, to places such as Port Hardy, Port MacNeil and Gold River, you can definitely find some great waterfront real estate prices, but if you prefer being close to the perks of big city living, the valley boasts a location closer to the facilities available in large centres such as Nanaimo. Moreover, the valley offers all three types of waterfront real estate: oceanfront, lakefront and riverfront and for some pretty great prices. In our recent Google Hangout on Air, I discussed Alberni Valley waterfront real estate with Realtor and area expert Chris Fenton of the Fenton Team. Chris and I discussed the different types of waterfront, average prices and current market conditions in the valley. You can view the video below; however, I have extracted the main points as well so that you can have a quick read through if you prefer. Sproat is a large warm water lake with over 300 kilometers of lake frontage, less than half of which is developed. A plethora of recreational opportunities are available on the lake including fishing, boating, paddle boarding, canoeing and of course, swimming in the summer. The lake is also home to several provincial parks. Although single family home prices generally average in the $800, 000 range, boat access lakefront can sometimes be found in the $300, 000 - $400, 000 range. Prices also go the other way; with large estate style homes in the million-dollar plus range. Also, I have noticed that there are sometimes prime lakefront lots for sale in the $300, 000 plus range if you prefer to build. Another large lake in the area, this lake is just in its infancy of being developed according to Chris. The lake is currently home to an RV Resort and around 50 or so houseboats. The majority of the lake is inaccessible by car and access is by boat or float plane only. The Somass River heads in from the Alberni Inlet, which is the inlet that Port Alberni is built on. The Stamp River is a fast-moving river with numerous waterfalls and home to the Stamp River Provincial Park. According to Chris, riverfront properties rarely come available and therefore they are highly sought-after. When they do come up for sale, they usually average around $500, 000; however, the average price for 2013 was only $292, 000 for a single property that was in poor condition. The Alberni Inlet stretches from the town of Port Alberni out to the West Coast of Vancouver Island. Along this inlet, much of which remains forested and untouched by human development, one can find some relatively inexpensive oceanfront cabins and cottages. The area is the perfect place for the wilderness aficionado, with plenty of recreational opportunities and a feeling of being really out in nature. Some of the main communities on the inlet are reached via a maintained gravel road, which is best travelled by truck or 4x4 according to Chris (but is routinely travelled by cars as well), and others are accessed by boat or float plane only. At the end of the inlet lies the picturesque community of Bamfield and the terminus of the world-famous West Coast trail. Headquarter's Bay is an oceanfront community about a 30 minute drive from Port Alberni. Featuring 41 large lots, this gated community has a year-round caretaker, a boat launch, marina, BBQ shelter and more. The average sale price for an oceanfront house in Headquarter's Bay is around $300, 000 and Chris says that typically includes a whopping 5 acres and 150 ft of oceanfront. Part of the reason for the great price is that it's not a land purchase, but rather a share purchase. A company owns the entire development and people buy shares and get exclusive use of their designated property. Headquarter's Bay also has small monthly fee and which includes a tax on the improvements on the land. Also of note is that the community is powered with propane generators, as there is no electricity. Haggard('s) Cove is a similar set up to Headquarter's Bay with a strata ownership structure, marina, and propane generated power; however, this area is accessed by boat, float plane or ferry service from the Valley (so not via the gravel road in this case) and consists of 61 strata titled, city size lots. Single family homes here run around $250, 000 - $400, 000. Boat service is daily in the summer from Port Alberni and 3 times a week in the winter. Haggard's Cove monthly strata fees are around $45/month. Haggard's Cove would make a perfect getaway spot for the true outdoorsman, while Headquarter's Bay is an excellent choice for the nature lover or family that doesn't want to break the bank with their recreational property purchase but have a lot of land at their disposal (5 acres/lot). Kildonan is a very small community. It is also a boat/float plane access only community as it is located on the north side of the Alberni Inlet. Rather than being part of a strata, the properties for sale in Kildonan are purchased fee simple. An hour and a half drive (or boat ride) from Port Alberni you will find Bamfield, with its world famous hiking, kayaking, salmon fishing and lots of diving. Bamfield had several different waterfront areas and the properties are not sold on a strata system but are fee simple. Chris says that the average oceanfront price single family home in Bamfield is usually around $500. 000; however, the average oceanfront single-family home sale price for 2013 was only $410, 000, so maybe it's a good time to be out there looking! Buying activity in the Alberni Valley picked up midway through last year, but according to Chris, it's still a great buyer's market. Chris says recreational buyers who are looking at lakefront generally come from other areas on Vancouver Island or Vancouver, while saltwater buyers are generally from Alberta. He also mentioned that activity from US buyers is also picking up again, particularly in Bamfield as it is so well known internationally. I hope we have given you a good overview of the different waterfront real estate opportunities in the Alberni Valley, one of the most affordable communities on the Island! Thanks to Chris Fenton for the interview and all of the detailed information. Some of you are receiving this email because at some point in the past, you have signed up to receive our blog updates automatically via email. If you do not want us to continue sending updates on the BC Waterfront Blog posts, please unsubscribe using the link that comes along with the email update. It will be located at the bottom of the email. If we do not receive a response on either of the requests above, we will assume that you consent to receive e-mails at this address. As the weather warms up, many of us anticipate the long, lazy days of summer and look forward to spending time at the beach with family and friends. One of the things I look forward to the most is time at the lake. Almost every year since I was 13, I have been going to a vintage lakefront resort with my best friend's family as they make their annual pilgrimage to this beautiful spot. I have many fond memories of endless summer days spent in my teen years lounging on the dock in the summer sun, listening to the creak of the dock as the gentle waves lapped up against it. Ahhhh, those were the days: the days of few cares, filled with laughter, swimming, playing cards late into the evening, lakeside campfires and marshmallow roasts, chasing boys and watching the sun set at the end of a spectacular day. Now, my friend and I take our own families there and the next generation gets to enjoy lakefront living, even if only for a few precious days each year. According to statistics from our website, I am not the only one out there wishing for my own piece of lakefront bliss. Some of the top Google search terms used to find our site are lakefront related and the lakefront search buttons on the site are consistently amongst the most clicked. Our stats show that April - September is the time when B.C. recreational property buyers are out in force. Every year, traffic to our site starts increasing as early as January, but the busiest time for the site is typically in the Summer, with the highest traffic in July and August. All to say that now is the perfect time for lakefront sellers to do their due diligence and get their properties out there in front of a captive audience....and a great time for buyers to be on the lookout for new listings. With this in mind, I decided to ask three well-known and respected members of the B.C. recreational real estate industry to answer some questions about how to best prepare your lakefront property for sale and they have provided some excellent and unique tips for marketing lakefront. In addition, for any eager buyers out there, I have included a few spectacular B.C. lakefront spreads for sale, as well as a couple of lower priced B.C. lakefront properties that might be of interest. Since 1985, Jane Hoffman has firmly established herself as the Okanagan’s most knowledgeable and respected lakefront real estate specialist. Jane has leveraged this experience in leading the real estate sales and marketing professionals of Coldwell Banker Jane Hoffman Group. Along with an impressive list of awards and achievements, Jane Hoffman Group takes most pride in being awarded the Coldwell Banker’s coveted 'Ultimate Service Award' for theteam with the most positive client satisfaction ratings. As a licensed Realtor® and an integral part of the Jane Hoffman Group, Lora Proskiw has been with the team since 2004 and enjoys the fast-pace environment of Kelowna's Real Estate Market. A long-time Kelowna resident, Lora has watched Kelowna grow and change over the past 30 years and enjoys educating and introducing her clients to the lifestyles, amenities and opportunities that Kelowna has to offer. One of Canada's top-ranked RE/MAX Realtors, Dave was born and raised in the Alberni Valley and started his real estate career in 1993 at the age of 20. He has attained several sales awards through RE/MAX including the Diamond Award, Hall of Fame, Lifetime Achievement and the prestigious Circle of Legends. Dave's designations include International Real Estate Specialist and Certified Luxury Home Marketing Specialist (member of the Million Dollar Guild). Dave and his team have specialized in selling lakefront real estate on Sproat Lake, Vancouver Island for over 10 years and are the sales leaders in this market. 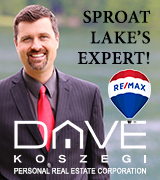 Dave resides at Sproat Lake with his family and having marketed and sold more waterfront properties there than anyone else, has acquired the knowledge and expertise required to work with buyers and sellers in this specialized market. 1. What is the most popular feature that buyers look for in a lakefront property? In your opinion, is there a characteristic that makes a lakefront property an easy sell every time (ie. exposure, sandy beach, etc...)? Dave Koszegi: The most popular features that buyers are looking for in a lakefront property are southern exposure and a relatively level topography (for a lakefront property that would mean a gentle slope with easy access to the lake). Having said that one thing I've learned is one buyer may prefer a Roy Vickers and another might want a Trevor Goodall. This property on Sproat Lake, currently listed by Dave Koszegi for $1, 899, 000, has a southern exposure, level topography and a dock; all attractive features to lakefront buyers. Rudy Nielsen: One important feature that buyers look for in a property is that it has a view facing south. The sun rises in the east, sets in the west and you get a great view of the sun rises/falling from the south. Another key feature is the potential for agriculture. If the land is arable, it would be a very attractive feature. The property’s shoreline is also an important feature for some buyers, whether it is sandy or rocky. It may be up to preferences and what the buyer is looking to do with the land. Potential buyers of waterfront property usually own a boat, so a property that has a dock is also going to be attractive. For this very same reason, having a marina nearby the property is also an attractive feature. Lora Proskiw: Okanagan Lake offers a wide variety of waterfront, from level 'hawaiian' sandy beaches to properties set above the water on rocky bluffs. While the level lots seem to be the most desirable, many waterfront buyers see the beauty of being nestled above the water… watching the weather move through the valley and capturing the full 180 degree vistas of the Okanagan Valley. When you live on the water, you want to enjoy the beach and the boating lifestyle, a boat dock is definitely a selling feature and most buyers see this as a must-have item. Okanagan Lake is a fabulous swimming lake - great for paddle boarding, skiing and jet skiing so having easy access to the water is a strong selling feature. The high bank positioning of this spectacular Kelowna lakefront home offers sweeping views and privacy desirable to some Okanagan luxury buyers. Currently listed for $3, 695, 000 by the Jane Hoffman Group. 2. What is the most important thing, specific to lakefront or recreational real estate, that owners can do to their property/home to prepare it for the market and help it sell faster? Rudy Nielsen: Staging is very important—potential buyers need to be able to see themselves owning this property. The first impression is very important, so great care should be taken with the outside of the property. If a buyer is turned off by how a property appears on the outside, s/he is not likely to go inside. Make sure plants are trimmed and grow flowers to make the property look more inviting. For shaded areas, I usually go with easy-to-care for hostas plants. They’re fairly low maintenance; they don’t require any weeding and their leaves are light enough that they disintegrate into the ground when they fall during the winter. One more thing I would do is to find the nicest area on the property and build a trail to that spot. You can build a trail using rocks, boulders or logs. Selling lakefront land? Rudy advises building a trail to the nicest spot on the property. This 40-acre property at Tsichgass Point is currently listed by NIHO for only $85, 000. Last remaining property on the lake. Dave Koszegi: The one piece of selling advice I would give to sellers is tidiness and emotion. Waterfront buyers now have wealth and are interested in rekindling their youth to share with their children or grandchildren. For example, someone might see a vintage waterski in a home, which conjures up a feeling of "oh that's just like one I had". I tell my sellers to display photos of their family enjoying activities a lake home can offer, such as swimming, wakeboarding, boating, etc. as well as photos showing the property in other seasons. This could be a beautiful sunset, roasting marshmallows on the beach or fishing in the off season when there is no one on the lake. This is opposite to what I tell my other sellers but it gives the property more uses to a buyer in a non-evasive way. Lora Proskiw: The best thing owners can do to prepare for the market is to keep their home in good repair, tidy both the interior and exterior and maintain the outside with nice landscaping. Little details such as sweeping the leaves off of a deck and tidying winter debris from the beach can add to the first impression a buyer gets when viewing a lakefront property. Our buyers want to know that the property has been well cared for and will be easy to maintain. With many of our waterfront owners only visiting periodically throughout the year, they are focused on enjoying their time at the 'lakehouse'. First impressions go a long way - wash windows, clean debris off patios, perform necessary repairs and tidy the beach area. These touches make a home feel inviting and give the buyer the security of knowing that the home has been well-maintained. The Experts Agree: Tidiness Counts. Make sure your interior and exterior are well cared for and maintained. Clear your beach of debris, mulch your garden and power wash decks. Perfect example above. Spectacular lakefront home currently listed by The Jane Hoffman Group for $3, 995, 000. 3. How have your marketing techniques changed with the advent of the internet and social media? If there was only one piece of selling advice you could give to agents or sellers for 2014 and specifically for marketing recreational and lakefront property what would it be? Lora Proskiw: The internet has taken the business of marketing homes to a whole new level by making them much more accessible to people from around the globe. Professional photos are an advantage and they can be used on all forms of media. We have been adding video to our online listings recently. We work with a professional photographer and videographer to makes sure our properties are showcased in the best possible way. We have found that social media is helpful for getting brand recognition, but when it comes down to it, the majority of our lakefront clients are in a demographic that still prefers verbal communication - we take the time to meet with our clients and get to know them. Word of mouth as well as reputation is very important for us. One other thing I can suggest for sellers and buyers alike is to work with an agent who is an expert in the lakefront market. There is specialized knowledge that comes with representing buyers and sellers of lakefront property such as being aware of riparian areas, setback requirements and dock licensing rules that agents who are well-versed in waterfront properties will be familiar with. Make sure your agent knows the details of these rules and regulations. Dave Koszegi: The internet has opened up the ability to market easily on an international level. Premier sites such as Waterfront West give buyers and sellers of waterfront properties easily accessible and up-to-date information on what's available and what's happening in that market. Unlike the internet where buyers and sellers can remain anonymous, social media allows agents to reach out and maintain a more personal relationship with clients and potential clients. Rudy NielsenDepending on the number of properties you have, it might make sense to build your own website to list these properties. You can then use keywords and social media to attract visitors. If a property website isn’t economical for the number of properties for sale, the next best thing is to hire a really good real estate firm specializing in waterfront properties. I’ve also found that a ‘for sale’ sign is still very effective. Your sign has to be eye-catching and positioned in a key visible area of the property with highest traffic potential. So there you have it, the advice from the experts on selling your lakefront property. Thanks so much to all of our experts for helping me out with this article. South exposure, private setting, great swimming with a rustic cottage and separate sleeping studio. What more could you want for only $299, 000? LIsted by Dockside Realty Ltd., Pender Island. 5 Dream Homes Your Vancouver Real Estate Dollar Can Buy Elsewhere in B.C. If you read this blog regularly, you will have seen my last post about how my husband and I managed to escape Vancouver, sold-out and moved to the small but vibrant community of the Comox Valley on Vancouver Island. Here, we purchased a nicer house with a much bigger lot and still managed to have some cash in hand (albeit no jobs...). Having been settled here for over 8 years now, we are well established, have our own businesses and will never look back. We love it and our standard of living has gone through the roof from what it was in Van city. Although we miss some of the perks of urban living, we have traded them in for a less stressful way of life, a close-knit community, extra family time, a huge yard with an organic garden and fruit trees and nature at our doorstep. ...you can do it too! The bottom line is, if you own real estate in Vancouver, you could currently be in possession of a sort of treasure trove...one that can buy a lot more real estate in other parts of the province! OR....If you love city living, but want to buy a weekend retreat to "get away from it all" once in a while, it might not be completely out of your reach. Benchmark price for a single-family detached home $929, 700. Benchmark price for attached properties $457, 700. Benchmark price for apartment properties $371, 500. (featured in Architectural Digest, Western Living, and City & Country Home). So let's start off with a bang! If you own an average single-family detached home on the West Side of Vancouver (which is West Of Ontario Street all the way to UBC), the benchmark price is a whopping $2, 144, 200. Let's say you own a decent home on the West Side, something a bit above average. If you look at the current inventory there are approximately 538 listings on the West Side over $2, 500, 000. Homes around this price point are mostly either newer single family dwellings (SFDs) on a standard city lot or older bungalows that have been updated. On Hornby Island, for approximately the same price, you can get this waterfront spread: a 3700 square foot, stunning architectural masterpiece that has been featured in several magazines and is located on 8.7 acres of private property bordered by over 250 acres of pristine undeveloped rainforest. It overlooks the white sands of Tribune Bay (arguably one of the nicest beaches in BC) and is zoned for a second home, which could be situated mid-bank directly on the bay. Pool anyone (or is this biilliards)? Private oceanside outdoor fireplace and entertainment. Or how about this one to impress your friends? At $1, 675, 000, priced almost half a million dollars below the benchmark price of a west side single-family detached home, you could trade up for this spread and have some cash in pocket (or a lower mortgage). Here's what you get for substantially less than your west side bungalow: a 3.1 acre gated ocean view estate including a Georgie Award winning luxury home with..."beamed and vaulted great room with dining area, large wood framed windows, floor to ceiling stone surround gas fireplace, bamboo flooring & wine cellar. An open kitchen boasts copious solid wood cabinetry, granite, eating island & butler’s pantry." Basically, you get all the bells & whistles, plus a three-car garage and guest quarters. Vaulted Ceilings, wood floors...basically all the bells & whistles. Not a bad view at the end of the day either. A living room fit for a King (or Queen). For less than the price of a benchmark townhouse on the East side (which is $518, 100) , you can get an almost 3000 sq ft ocean view home with main level living and a walk-out lower level that provides ample room for a B/I office, media area, bar, gym, guest room with cheater ensuite & storage. The community also features a Beach Clubhouse including outdoor swimming pool, hot tub, tennis courts, indoor gym, social areas, library, pottery, woodworking, yoga & fitness classes, etc.... You won't get that in your average east side townhouse! At this Okanagan development, you can purchase a detached cottage starting in the low 300s. That's cheaper than the benchmark price for an apartment in Greater Vancouver. The project has 1,800’ of waterfront, a sandy beach, two swimming pools, a 7,000 sq. ft. clubhouse, 20 acres of green-space for all to enjoy, boat slips, walking trails, and many other amenities. Not too shabby if you ask me! I hope you enjoyed seeing the difference in prices between Vancouver real estate and smaller communities in B.C.. To give you a few extra properties to gander at for comparison, I've included some Hot Properties here. These are properties hand-selected by our member agents as being good value in today's market. This home, just reduced from $529, 000 to $475,000 can be yours for just slightly more than the benchmark townhouse on the East Side ($518, 100). Private setting, south exposure and fruit tress to enjoy while you sip your coffee gazing out at the ocean. Looking for some recreational property at a bargain price? This lot is the equivalent to approximately 120 Vancouver city lots, including over 356 ft. of river frontage on the Sangan River. This fisherman's hideaway provides a combination of privacy, serenity, and adventure unique to BC. The rear 3.3 acres of this property reach the northern border of the Naikoon Provincial Park where the lush rainforest overflows into your own private backyard; a little larger than your average Vancouver one! 15 minutes from Masset and seconds away from the beach. Maybe you want a nice getaway spot or a lakeside lot for your year-round home? Take a look at these lakeside lots on Sproat Lake, Vancouver Island? You can build up to a 1500 sq ft home here. Really inexpensive for a lot these days, let alone lakeside! Seller is motivated to get these lots sold! We feature our Hot Properties every quarter on this blog, to get this blog to your inbox, please sign-up to the right! ....because we were too busy tackling traffic jams and working like mad to pay the rent on a dark and mould-contaminated basement suite on the West Side. Over the course of the next few years, we slowly came to the realization that we should move out of Vancouver to a smaller British Columbia community. The decision was not made quickly or taken lightly. Rather, it evolved gradually and involved many factors, the most important of which I have listed below, along with the story of how we did it and what we have gained in return. Congestion, Commuting and Time Wasted Driving. Vancouver's traffic congestion is the worst in North America? By the time we made the decision to move to Vancouver Island, I had worked downtown for over 8 years. I had tried all forms of transportation to get to my job in the Marine Building (in the core of the downtown financial district). These included walking, transit, and also driving and parking somewhere relatively cheap (then walking through some dodgy areas to get to the office). Finally, for the last year we were there, I biked, which was by far the most enjoyable and fastest way to get downtown of all of the options I had tried. Still, I took my life in my hands every day and biking in February was no fun task (although still better than transit). Don't even get me started about parking tickets in Vancouver...that's a whole other blog post! 2. An Insane Real Estate Market. Inability to Compete with Flippers and Investors as a Young Couple. At that point, in late 2001, moving out of Vancouver was not even a consideration for us, but I realized that with little to no savings, the high cost of living and average paying jobs, we were never going to be able to get ahead financially in Vancouver without some action. That's when I started reading real estate investment books and got the idea in my head that we needed to buy some property ASAP, before we were priced out of the Vancouver (or any) real estate market...forever. Needless to say, my boyfriend was hesitant. After all, even though it was in the plans, we weren't married yet and what about money for the wedding, etc...? Once I have an idea in my head, it's hard to convince me otherwise (just ask my now husband), so I persisted in gently promoting my idea to him for a few months and got the wheels turning by finding an agent. I looked at the historical numbers and realized that as long as we could afford our mortgage payment through the ups and downs of the real estate market, according to all of the factors at the time (interest rates, upswing in market, etc...) we couldn't really go wrong with owning Vancouver real estate. Hesitantly, my boyfriend agreed and with the help of a generous "donation" of a down payment from my father (who counselled us that we could use the money however we wanted, but made it very obvious that real estate was his preference), we got pre-approved for a mortgage. and in 1990 $231, 000? Even though there are ups and downs like any real estate market, over the long run it just seems to keep appreciating at a steady pace. At the time, with our measly salaries, we never imagined we would be able to get approved to buy a single family detached home in Vancouver; rather, we thought maybe a condo or townhouse? We wanted to stay close to the city as we hated commuting, so moving to the burbs was out of the question. It was also at this point that the idea popped into my head that we might not be able to afford anything in Vancouver and have to purchase something out of town as an investment or.....for the first time, I thought, maybe a possible future family home? Well, shockingly, we got pre-approved for a whopping $250, 000. Yeehaw! ....it was enough money to buy us a HOUSE in our preferred neighbourhood of Main! Oh, how the times have changed from the good 'ole days of 2002.
for a detached home as of Jan 2014 is $929, 700. Long story short, we bought a little 1911 heritage house right on King Edward. The house featured such highlights as stained glass windows painted over with brown paint which shook every time a bus passed (pretty much every 5 minutes), front porch falling in and a living room which looked suspiciously similar to the photo I found below at UglyHousePhotos.com....but it was solid and strong nonetheless. This glorious photo is similar to how the living room of our soon to be Vancouver home looked when we viewed it prior to purchase. Over the next year, we worked tirelessly renovating every detail, stripping paint, fixing up the yard and exterior...with the idea that we would sell it and buy another bigger fixer-upper on a quieter street in the same neighbourhood.....hahahahaha. By the time we were ready to sell, investors and flippers were buying complete dumps in the neighbourhood, sight unseen, for $500, 000 cash and with no conditions so there was no way we could compete. (Note: These are not listed in importance, but rather chronologically otherwise #3 would be listed first:). With our upcoming wedding and thoughts of kids in our heads...ok MY head, deciding factor number three reared it's head. I was on the phone with my friend in Toronto who had recently had her first child, when she mentioned that with the high cost of daycare in Toronto, after going back to work, childcare costs were taking up almost all of her salary. She had an excellent job but told me that it was barely worth her working full-time as they only ended up with an extra $500-$1000 left after the daycare fees every month, but that she couldn't quit because they needed that extra money. I realized that we would be in the same position if we stayed in Vancouver. I really wanted to be able to be around for my future kid/s and the idea of having to hire a nanny or have my child in full-time daycare just so I could make a few hundred extra dollars every month was not sitting well with me. Oh yeah, that...and a teenager was beaten to death in November of 2003 at the school close to our house.... . If you know Vancouver, you'll know that the Main neighbouhood between around 18th-35th is a super trendy and fashionable area of million dollar + homes, fancy coffee shops and clothing stores. It wasn't the most expensive part of the city, but it wasn't like we were living in the "bad" area or something. Needless to say, the beating was very unsettling and solidified our decision to move. So....we did some demographic research on smaller communities in British Columbia and settled on the Comox Valley on Vancouver Island. After a year and a half of exhausting work, our Vancouver house was worth $401, 000 (how's that for appreciation?!!) and that's what it sold for in a bidding war, in the first week on the market. We had three offers on the day of our open house and buyers came to the showing with their inspectors so they could make "no subject" offers. Yes, it was an insane market! We had hit the jackpot (hindsight is 20/20), but we also realized that there was no way in hell we could buy a bigger fixer upper in the same neighbourhood on a quieter street (and after the above events, we didn't really want to anyways....). King Edward House, Main Street Area of Vancouver - After we fixed it all up (Sale Price $401, 000)! We moved to Courtenay, where we bought a much larger character home on a much larger lot for MUCH less ($155, 000). Our standard of living went up 300%. No more traffic noise, a "big" lot 40' x 120,' a bigger house, uncrowded parks and beaches, a ski hill close by and no more commuting. Actually, no more jobs either....we both started our own businesses. My husband always reminds me of my famous quote as we were sitting on our back porch with some wine one starry, warm summer evening right after the move. "I think I can hear the hum of the traffic from the highway," I said, to which he responded with one of his characteristic, "You didn't really just say that? Did you?!" smirks. He actually had a hard time convincing me it wasn't traffic, until he pointed out that there is hardly ever traffic on the Inland Island Highway going to Campbell River, let alone at 10PM at night. What I was actually hearing was the sound of the rushing water of our favourite tubing and swimming river a 5 minute walk from our new house....d'oh. City girl, slow down and meet country! Now, I'm not saying everything is perfect and stress free over here. For sure, there are some things we miss about Vancouver ( old friends, the variety of really great ethnic food at really great prices, our favourite haunts like Bean Around the World ) and owning your own business has it's own stresses. Making a living in a smaller community can be more challenging than having a solid paying, stable job in a larger centre but what we got in exchange was freedom. Having to work for someone else. Having to procure full-time daycare for our son (although we did still get some help from an awesome relative!). Parking fees and parking tickets (so far!). A small, vibrant and close-knit community with tons of festivals and a fabulous Farmer's Market. Ability to spend time with our son rather than having him in after school care or other programs during the year. A huge lot with a gigantic organic garden (we have since bought a larger home on a larger lot), fruit trees and tons of space for kids to run and play. Nature trails and wildlife galore. Access to a French Immersion School walking distance from our house with no insane wait lists. So, if you live in Vancouver and love it kudos to you! If you own a home there even better! We love it too, but it just didn't "fit" with our family goals any longer. So...if want to get the hell out like we did, why not do your research, check out the demographics, job opportunities and house prices of some other B.C. communities. If you already own some prime Vancouver real estate, you're way ahead of the game. You could sell your average single family detached home in Vancouver for around $1, 000, 000 and buy a nice single family home in the Comox Valley, for example, for a mere $348, 233. You might even end up with a home, a small or non-existent mortgage and a nice nest egg to boot. If you own a townhouse or condo in Vancouver, that will buy you a nice 3-bed, 2-bath single family detached home on a decent sized lot in many smaller B.C. communities. If you're nearing retirement, it's kind of a no brainer in my opinion...that's probably why the Comox Valley is becoming such a haven for retirees. This article, from the Globe and Mail, has some good advice for you if you're thinking of retiring to a smaller community, with a few areas pre-selected to cut down on your homework. Still renting? When real estate is cheaper, the cost of living goes down and you can probably survive on less income than you do in Vancouver. Why not look into job opportunities in other communities where the cost of living is lower, crunch some numbers and see if you might just come out ahead? Our move allowed my husband to work in a much more rewarding career and allowed me to be home with our son when he was little and still run a business without having the stress of having to make a six figure income to afford our housing payments. In my next blog, we'll take a look at some places you Vancouver real estate dollar can buy you in other areas around the province. Flipping through the Thrifty Foods' magazine looking for recipe ideas before Christmas, I came across a real estate related article that piqued my interest but left me a little skeptical. The article, in advertorial format, was promoting the services of Canada's Reno Rebate Inc., a company that, together with Ontario based Rebate4U, helps homeowners apply for government rebates and grants on home purchases, building and renovations. It stated that there are "government rebates for new home purchases, owner-built homes and substantial renovations to existing homes during the tenure of the HST, and $42, 500 is the upper limit a homeowner can receive for a project." Did you build a home, buy a home or do a major renovation during the tenure of the HST? If so, you may be eligible for a government rebate on part of the PST you paid. Being in the real estate business, I read multiple real estate related articles and I was pretty surprised I had never heard of this before. I knew that buyers of new homes could apply for some of the HST back, but I wasn't aware of any refund for renovations. I figured if this was for real, I would have heard something about it or there must be some sort of a catch. But then again I thought... my husband and I did some pretty substantial renovations when the HST was in place, maybe we could get some cold, hard cash ourselves? That... along with the possibility of being able to pass on the good news to my clients, my husband's clients (he owns a reno business, Main Street Renovations) and my blog readers about a possible windfall was enough to prompt me to call and find out more about this "so-called" rebate. It turns out that Sean Leitenberg, Canada's Reno Rebate principal was just as skeptical about the rebate when his brother-in-law, in Ontario, called and told Sean that since he had recently done a major renovation to his BC home, he should look into claiming the rebate on his renovations. A retired construction advisor, Sean decided to go to his accountant, who advised him that there was no such refund, but his brother-in-law persisted and Sean looked into it further and found out that the rebate really was legit. After applying for and receiving his rebate, Sean and his brother-in-law teamed up to form Canada's Reno Rebate to spread the word and help people through all of the paperwork so they can get their refunds. Ever since they have been juggling mounds of paperwork and handing out cheques. It sounds almost too good to be true, so why isn't this rebate common knowledge in BC households? It turns out that I had, in fact, heard about the rebate and so have many of you. It's the same rebate that applied to buyers of new homes during the tenure of the HST and it's called the BC Enhanced New Housing Rebate. At the time when it came out there were many articles and stories in the media announcing its implementation. When the HST came into effect July 1, 2010, there was an (understandable) uproar amongst builders, who complained that having to tack an extra 7% onto the sale price of their new homes was going to hurt business. In response, the government came out with the rebate, allowing buyers to claim a portion of the PST (71.43% to be exact) paid on the purchase of their new homes. Initially, this rebate was maxed out to buyers purchasing or building homes up to $500, 000, but in 2012, the threshold was increased for homes up to $850, 000. Now here's the kicker....the BC Enhanced New Housing Rebate applies to more than just new home purchases. Sean says that most large-scale builders have known about the rebate and their buyers (or the builders themselves*) have been claiming it since it's inception, but that many homeowners and smaller owner-builders are not aware that this rebate may also apply to them. Furthermore, matters are complicated by the fact that it is a provincial sales tax rebate but the federal government handles it. Even finding the information about the rebate on the government websites is difficult (imagine that?). The refund applies to 71.43% of the PST spent on materials and labour for major home renovations, new home purchases and owner-built homes during the time that the HST was in place. Also, home owners who hired a contractor can apply for a refund for this portion of the PST they paid to their contractor. How's that for a windfall? If your reno looked something like this (walls ripped down to the studs everywhere), there's a chance you might qualify for the rebate. So by now, dear blog readers, you are probably asking yourselves if you or someone you know might qualify for this rebate? Well, if you are thinking to yourself "Hey, we did a major kitchen reno and fixed up our bathroom...maybe we will qualify?" No dice. Basically, Sean says, if you enter the home and it looks like a completely different home than before your reno (i.e. whole home completely changed, walls taken out, new drywall and ceilings or ripped down to the studs, etc...) then you probably have an excellent chance of getting the refund. Likewise, if you are an owner-builder, bought a new home or hired a contractor to build your home during the HST and have not taken advantage of the refund, you should definitely investigate further. Hopefully you saved your receipts (and if you have your building permits, even better)! There is one very important thing to take note of: the deadline to apply for the refund is 2 years from the time you finished your build, renovation or purchased your new home. Many of the refunds have already been settled (or lost if people didn't claim them); however, there is still some time to claim if you finished your build or purchased less than 2 years ago and it was when the HST was still in place - so time is ticking. 1. Contact Sean and or a member of his team at 1-877-724-4624 or www.renorebate.ca. Reno Rebate works directly with CRA to help process refunds and wade through all of the paperwork on your behalf. Usually refunds take around 4 weeks to arrive. They have a 98% success rate and reps in different communities. There is no up-front fee and their commission (20%) is taken only when you receive your refund. They also include free courier services. Sean says the average rebate is around $12,000 - $14, 000. 2. Contact the Government Directly and be a DIYer. When I went online to find resources on how to claim a refund, there was a plethora of confusing information, but I did manage to find this link with claim forms and a phone number: 1-800-959-5525. I hope I have helped some of you take advantage of a refund you didn't know you had coming! Note: I did not receive any compensation for this post, just thought our readers would like to know about it. Being an interior design fanatic and having done a fair deal of design work myself, I have had my own Pinterest page for a couple of years now. I've used it for everything from decor and design ideas, renovations and landscaping to recipes, Christmas decorating, kids parties and business information. Pinterest is an awesome tool for transforming spaces and making dreams a reality. For those not familiar with the site, in a nutshell, it is a way of bookmarking and organizing photos of things you see or like online. In the last little while, I have been doing a lot of social media for the business and I started to wonder why I haven't made a Pinterest page for Waterfront West. After all, who doesn't dream of owning a quaint lakeshore cottage or fabulous oceanfront home and want to start developing a plan for that dream? With that in mind, I decided create a Waterfront West Pinterest page to serve as inspiration for buyers coming to our site and since I am going to use it as a sort of goal board for myself and my journey to waterfront home ownership (nope, not there yet!). For our waterfront sellers and marketers, I am going to be pinning all sorts of good marketing info I have been finding out on Google+ University (my own term for G+). I have found Google Plus the all around best social network for finding excellent (free) marketing information and connecting with like-minded professionals (free plug Google, you can thank me by sending thousands more visitors to Waterfront West...Cheers). He wanted dark blue paint and I wanted a colour that would last and look good even when he was older. He liked the movie "Cars" at the time, but I tried to choose a scheme that would be perfectly fine for a teen or a toddler with a switch of a few pillows and posters. Here is the board I put together for his room (disregard Pokemon party ideas-lol). Notice how I was inspired to create a reading nook by the pin I found on PInterest. Bonus: It doubles as an extra bed when he has friends sleep over! I bought the large Lightning McQUeen transfer I pinned and put it above his bed and incorporated some more rustic elements similar to the picture frame pin like vintage toys. Dinos and trains were the order of the day. Pics not up yet, but CARS is the new theme and he has a new homework space in his gigantic closet. 1. Start by making a Pinterest account and a board for your project (be in a cabin, home, patio, pool, room or real estate deal), do a few searches and pin anything and everything you like. Follow people with similar boards so you can see more of what interests you. 2. Once you have a bunch of pins for your space (eg. Cabin Ideas), you can sort through them looking for common themes. Do you notice a lot of west coast style buildings? Small modern cabins? A lot of green or blue? A certain type of pool you have pinned multiple times? Find what you are drawn to and whittle down your board or start a new, more refined one with your more complete vision in mind. This step is the key to unifying your design. 3. Look for pages that work with your vision and pin, pin, pin. Often I find cool ideas I hadn't thought of at this stage too. You should have a really good idea of what you want at this stage, so you can also pin products for the space and purchase them later and really refine your plan. 3. The transformation begins. Before the project begins, take another look at the board and take the elements (or properties) you like the best and incorporate them into your project. Take action! Start the project or move towards your purchase. 4. After several days or weeks, you have made another dream into reality. Yay! We hope you will follow our Waterfront West Page or Boards on Pinterest to get some inspiring ideas for your BC waterfront dream home or cabin! Agents can follow us to get the latest social media and luxury home marketing tips we pin. Oh, yes, and please feel free to follow me and/or Waterfront West on Google Plus if you like! In my previous post about exploring the Gulf and San Juan Islands by boat, I covered my early days as a kid visiting San Juan and Henry Islands and taking in their rich history. What I didn't mention was the inspiration for that post and the property that got me thinking about all the good old days and the heritage of the islands around us. As you can imagine, I see a plethora of beautiful waterfront homes managing Waterfront West, but from time to time, some of them really stand out to me. Although rarely available and few and far between, when they do come up on the site, I find myself drawn to the old homesteads, the magnificent Arts & Crafts heritage homes with roaming orchards and picturesque fields. These homes elicit in me a nostalgic calm and a yearning for a return to the simple life, when growing and harvesting your own food was your work and nights were filled with laughter, music and games played with others rather than the tap, tap, tap of the keyboard and the constant distraction of our electronic devices. There is really nothing like looking out at the ocean from an old Gulf Islands homestead with the sun shining, an orchard surrounding you and the sound of long grass blowing in the ocean breeze to take you away from the stress of our daily living. This home, located on Denman Island, is one of those rarely available stately heritage homesteads that I dream about. Perhaps it is because my husband and I are in love with heritage homes and currently renovating our third one or perhaps it is because of the scarcity of large well-built Arts & Crafts homes in the Comox Valley (and vicinity), but every time I see the ad for this home, I pause and look wistfully through the pictures...so I decided to find out a little more about its history. Originally settled in 1878 by the Graham Family, these 56 hectares of Denman landscape remained largely untouched, apart from a small orchard and dairy farm until the turn of the century, when it was purchased by Dr. Frederick Lindsay-Dickson, an Englishman and avid sportsman. He built a new house in the 1920's for his children, and later grandchildren, who were raised on the property, which he continued to cultivate and successfully farm for many decades. Recently the estate was partitioned for the purpose of creating a 52 ha Lindsay-Dickson Nature Reserve, which borders and provides access to beautiful Graham Lake. The remaining 10 acres is comprised of forest, fields, creek, and a small orchard containing apple, pear and cherry trees. There still stands the original home, sensitively upgraded, but maintaining many original features. The history associated with the home is unquantifiable - some of the original pioneers in the Comox Valley are represented, as is the architecture of the Arts & Crafts movement. It is an irreplaceable piece of times past. If you're interested in more information about the home, please click here for more information. Growing up in Sidney, B.C., I spent many summer days with my family out on the water in our boat. We cruised around both the Gulf Islands and the nearby San Juans (in the U.S.) and moored at various locations, which allowed us to explore the smaller islands. Many of these islands were (and still are) boat-access only and the historic sites remain relatively unchanged, except by the hand of nature. On these islands, the historic spots are seldom marked with museum-like placards and tour guides are obviously not available at your beck and call. Often what is left to discover on your own are the lonely windswept and crumbling foundations of old homes and the vestiges of times long gone. On our trips, we explored the remaining relics from old homesteads, investigated weathered pioneer cabins and even found oddities such as an abandoned bomb shelter. The Gulf (and San Juan) Islands are rich in history and culture. In the early days, they were settled by an amazingly diverse band of pioneers. Visiting the islands by boat allowed us to step into the lives of these early pioneers. In this first (purely self-indulgent and nostalgic) post, I'm going to cover our family trips to our waterfront cabin and fond memories of our boating summers in the San Juans (along with a bit of history and real estate thrown in for good measure). Back in the 70s, my parents owned a waterfront cabin on Henry Island. Henry is a boat-access island in the San Juans about a 40-minute boat ride from Sidney. Every summer, we would pack up supplies for a week and head over to Henry loaded to the gills with bags and food for a week of "cabin" time. Imagine 2 adults and 2 kids with friends in tow in a 300 sq ft room with no running water for a week and you will start to get the picture. Our trips were filled with typical boating moments (i.e. mishaps). For example, one year we arrived at the cabin to discover that the homemade dock had blown away during the winter. Aside: My dad once built a dock using the pulls from our old kitchen cupboards as cleats to tie your boat to. Ingenious, no? Enough said. Anyhow, with no dock left, from that year forth, we kept a dingy at the cabin and my dad had to swim in the frigid waters to go get it when we arrived and return it at the end of the each trip. The dreaded swim was part of the whole cabin experience and needless to say, when we got older, some of us kids were "volunteered" for the feat. Other memorable moments at the cabin include nearly being flipped over in our dingy by a pod of 9 passing whales and maneuvering a double sized cast-iron 1950s murphy bed including mattress across the bay from Roche Harbor to our cabin via a convoy of 2 small aluminum fishing boats. The first boat was filled with 7 people and the second boat was towed behind with supplies for the week and the murphy bed/mattress combo precariously balanced across the boat. It was truly miraculous that the second boat did not flip dumping the bed and all of our supplies into the ocean. My mom, bro and I at the "cabin" circa 1980s. Note "wood" floors and stove. With the cabin as our base, we explored Henry Island and visited nearby Roche Harbor and other historic sites in the San Juans. Roche Harbor is a hauntingly beautiful historic resort village featuring white painted heritage buildings with matching picturesque Church, general store, fragrant English rose gardens, waterfront pub, white picket fences and the Hotel De Haro (circa 1886). A well-known boating enclave and playground of the wealthy, the marina was (and still is) often filled with incredible yachts featuring fully paid crews, helicopters and tenders bigger than our own boat. My parents even thought they saw John Wayne's minesweeper there once! Despite not being as wealthy of many of the visitors at Roche, I fondly remember trips there. Upon arriving in the US, we had to check-in with customs and we would buy supplies and walk around a bit. Looking like the poor country cousins, we would putt up to the marina in our 24-foot boat loaded with people and supplies. As a kid I remember feeling a bit out of place and trying to keep my mouth from gaping at the amazing yachts. The good thing was that once you were on land, no one knew what size your boat was and just assumed your were a gazillionaire like everybody else (or so I liked to think). The history of Roche is interesting and also slightly amusing. Back in the early 1800s, Roche and San Juan Island itself were occupied by the British but the proper divisions between the British Empire at the time and the US had not yet been established so Americans moved onto the island and settled as well. The Brits and the Americans lived together for some time, but it all finally came to a head with the shooting of an errant pig (belonging to an Irishman) by an American. This event triggered The Pig War of 1859. According to Wikipedia, a huge amount of military amassed in the area in preparation for full out war. At one point, there were reportedly 461 Americans with 14 cannon and 5 British Warships carrying 2, 140 men poised to fight over the boundary, at which point it was decided that "two great nations in a war over a squabble about a pig" was foolish." In the end there were never any casualties (except the pig, of course) and the Americans got San Juan Island. I guess they didn't think much of Henry Island at the time of the war - it was used as a target practice for the cannons according to my dad. Later, San Juan Island became known for it's production of limestone and Henry Island was also mined. Walking around Henry back in the 70s you could still see the original quarries albeit covered in years of moss and overgrowth and probably not safe to venture into. While in Roche, we sometimes visited the historic sites including the old pioneer cemetery and the mausoleum built by John S McMillan who owned the limestone quarry around which the resort originally grew. The mausoleum featured a haunting round-table on an elevated platform surrounded by roman style pillars with seats for each family member who had passed. These sites, which you can still view today, are interesting to see and they are just a short walk from the real centre of action in Roche: the historic Hotel de Haro. The hotel grounds include the pub, the gardens and a recreation area with cabins, tennis courts, cabins and an outdoor pool. The hotel itself even had the distinction of housing President Theodore Roosevelt (a friend of the McMillan's) for a short visit in 1906. As a kid though, my favourite spot was the general store where I was transported into a whole new world of American toys and candies that I would oogle over. Today, the general store still stands but the resort has been enhanced substantially. A three-storey 12-suite boutique hotel and spa has been built with additional accommodation. There are several new restaurants and some new retail offerings and in the summer, there seems to be a permanent spot for arts and crafts vendors and a coffee wagon. These days more attention has been focused on the heritage of the resort so you can find the museum-like placards I mentioned sprinkled around the resort with explanations of the history; however, I can pretty much guarantee you won't find them on Henry Island:) If anyone out there has seen any, feel free to comment below and fill me in.